In an April speech addressing the issue of environmental and human rights abuses and displacements resulting from large dam projects, World Bank president Jim Yong Kim stated “[y]ou cannot do the kind of work we are trying to do and not have some of these incidents happen”. Over 300 civil society organisations (CSOs) and individuals responded with a letter to Bank President Kim in mid-May, rejecting his statement and calling for an apology. They criticised Kim’s statements regarding the situation in Honduras and the recent killing of Berta Caceres, an indigenous rights leader of the Civic Council of Popular and Indigenous Organizations of Honduras (COPINH) (see Observer Spring 2016). The World Bank published a “fact sheet” to “set the record straight” regarding Kim’s intervention, however five of the CSO signatories responded in a public letter that his statement is “subject to different interpretations” and noted that several other issues raised in the letter were not addressed. In a May blog on Business & Human Rights Resource Centre Natalie Bridgeman Fields and Siddharth Mohansingh Akali, from Accountability Counsel noted that “Rights abuses are often a choice to contravene the Bank’s own environmental and social safeguard policies and accountability frameworks. President Kim’s statements appear to condone this false choice between rights and development”. Another scandal exposing police corruption and involvement of Honduran police commanders in assassinations and organized crime hit the press again in March 2016. Shortly after, on April 7, the Honduran Congress approved a decree legislating the purging of the National Police, declaring a clean up of the police a “national priority.” The decree called for the creation of a Special Reform Commission for the Purging and Transformation of the Police. It is not the first time a scandal incited the approval of legislation to cleanup corrupt security forces. In January 2014, the Commission for Public Security Reform was also created, and today is widely admitted to have been a huge failure, even by those that applauded its effort. Some are not surprised that it never achieved what it was created to do. So the Honduran government is at it again. Days after the 2016 decree was approved, a three-member Special Reform Commission for the Purging and Transformation of the Police was formed. I thought it was worth taking a look at the organizational associations and backgrounds of the three appointed Commissioners – Omar Rivera, Alberto Solórzano, and Vilma Morales. Association for a More Just Society (ASJ) is a Honduran and U.S. faith-based organization that receives significant U.S. support from USAID to run Centros de Alcance that focus on “anti-gang and violence prevention” programs promoting extensively to address youth migration to the U.S; the Legal Advisory and Anti-Corruption Centers (ALAC); and a grant for an education program given under the Impulsing Citizen Participation, Transparency and Social Opportunities (Impactos), amongst others. ASJ receives support from the evangelical Christian Reformed Church in North America. Its almost impossible to research one of ASJ’s programs without connecting it to U.S. funding and programs that promote U.S. policy and cosmetic solutions to major structural problems like corruption and impunity. Many in the Honduran social movement see ASJ and the U.S. Embassy as one in the same. In Reyes defense, the Confraternidad Evangelica wrote a public letter, signed by Pastor Alberto Solórzano, one of the members of the Police Purging Commission, expressing their disagreement with the investigation against Pastor Reyes and justifying the homophobic statements as “moved by the interest to present a salvation plan for humanity in order to seek the preservation of the society.” These verbal attacks and hate speech against the LGBTI community are alarming considering the violence and assassinations reported by Honduran organizations. In the last seven years, 215 LBGTI people have been murdered in Honduras, 37 of which occurred in 2015 alone. Upon nomination to the Police Purging Commission, individuals questioned the participation of Pastor Solórzano. According to a former Attorney General, Edmundo Orellana, “no religious minister can assume public functions,” claiming that the Pastor’s nomination was illegal. Orellana’s criticisms were ignored. It is worth mentioning that the two alternates for the Police Purging Commission are Carlos Hernandez, the President of ASJ, and Jorge Machado, a Board member of the Confraternidad Evangelica. Vilma Morales, former President of the Supreme Court; member, Intervention Commission of the Honduran Social Security Institute (IHSS); and member, Intervention Commission of National Welfare Institute for the Teaching Profession (IMPREMA). Vilma Morales is best known for her participation in “intervention commissions” in at least two public Honduran institutions since 2009. She is also known as a major supporter of the 2009 military coup, denying in the weeks following that a coup taken place in Honduras. Morales represented the de-facto regime of Roberto Micheletti in negotiations after the coup, and insisted that the overthrown President Manuel Zelaya would face criminal charges upon returning to Honduras. In Honduras, “intervention Commissions” have become understood as “privatization commissions”. In many occasions, as was the case with the IMPREMA, IHSS, and the telecommunications company, Hondutel, all public institutions were “intervened” or briefly handed over to a Commission for a structural review, that would later, propose structural reforms that set the institutions on the path to privatization. Vilma Morales was involved in two of the institutions mentioned and helped whitewash the corruption linked to high level officials in the Honduran government in both occasions, guaranteeing impunity, while ushering in major neoliberal reforms in both institutions. Morales will be known in Honduran history as a lapdog for the International Monetary Fund that ushered in the structural adjustments to the institutions. In 2009, the de-facto government of Roberto Micheletti ransacked more than $40 million of pension funds from the Honduran teachers, one of the strongest bases of the post-coup social movement, the National Front of Popular Resistance (FNRP). The resulting financial crisis led to the intervention commission, which Morales headed, and later, recommended serious neoliberal reforms to the institution. With the intervention of their pension fund, teachers lost control of managing small loans, social benefits, and together with the approval of a new education law, Morales and the intervention commission assisted in ushering in some of the largest changes in public education in Honduras. The teachers’ movement, one of the strongest social movements in Honduras, fell apart as a result of the major structural changes to IMPREMA, which paved the way to a slow, incremental path to privatization of public education. Years later in 2014, Vilma Morales was appointed as head of the IHSS Intervention Commission after Honduran journalist David Romero broke a $350 million dollar corruption scandal in the Honduran Social Security Institute. The scandal involved the creation of a series of ghost companies that laundered money from the IHSS that managed social and medical benefits for public employees. The stolen money was linked to high-level officials in the current political party in power and multiple checks were deposited in the accounts of the National Party of Honduras. In the process, a financial crisis in the IHSS ensued. The IHSS was depleted of medicines, equipment, care and human resources and an estimated 3,000 people lost their lives as a result. As the crisis exploded and thousands of Honduras took to the street demanding justice, Morales was appointed to join the Intervention Commission set to review finances and restructure the IHSS. One of the Commission’s recommendations was the approval of the Law for Social Protection that was later passed in Congress and received heavy endorsement by Morales herself. Honduran unions and public workers heavily criticized the new law and mobilized to stop it with little success. In December 2014, the Honduran government signed a $189 million dollars agreement with the IMF. In the stand-by agreement summary, the IMF applauds the structural changes made in IMPREMA, and the importance of modeling the restructuring of the IHSS off of the lessons learned in IMPREMA. Both institutional restructuring occurred after a “crisis” of corruption, the appointment and work of an Intervention Commission, and a new law that proposed radical neoliberal economic adjustments. Vilma Morales, Omar Rivera, and Pastor Alberto Solórzano are individuals tied to strong interests in Honduras – U.S. embassy, evangelical and golpista interests. Their participation on the Special Reform Commission for the Purging and Transformation of the Police may provide a guiding light as to the U.S. position on decisions that the Commission will have to make given Rivera and Pastor Solórzano’s strong ties to U.S. funding. Examining Rivera and Solórzano’s associations also raises important questions about the strong U.S. support and funding for evangelical churches and organizations in Honduras. Vilma Morales’ role in the Commission may be reflective of some sort of economic restructuring, although to date, the Commission has not touched on the matter. 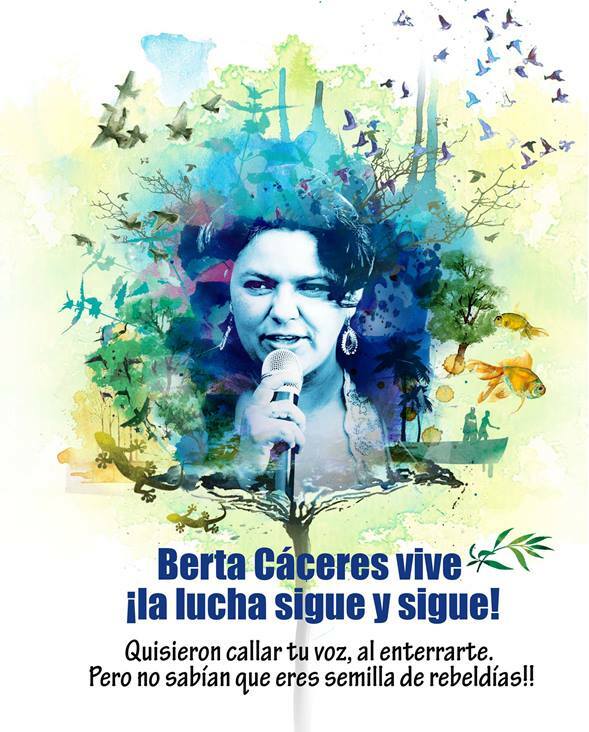 Berta Caceres, a great Lenca woman from Honduras, was assassinated on March 2, 2016. She was targeted and killed because of who she is, because of what she lived and fought for, her whole life. For her life, sicarios (paid assassins) broke into her home in La Esperanza, Intibuca, Honduras, and shot her. 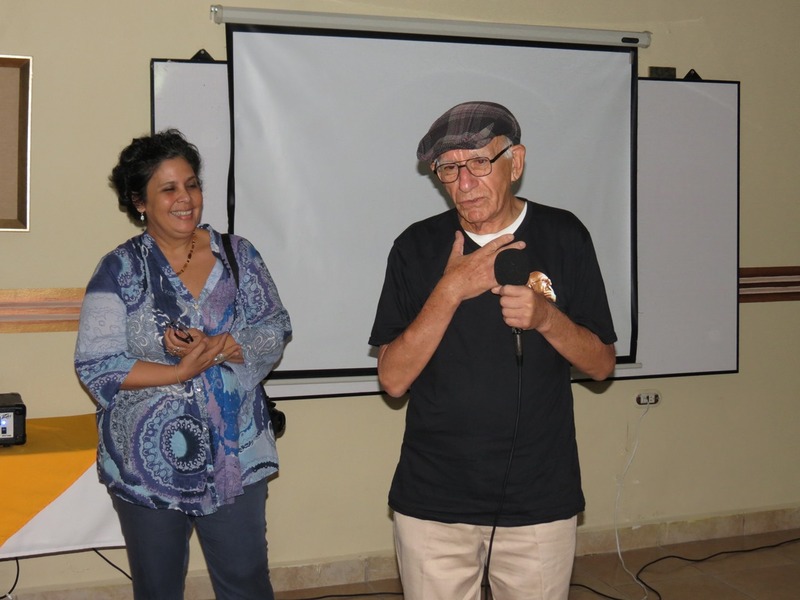 At the same time, the assassins attempted to kill Gustavo Castro, a Mexican human rights defender visiting with Berta and her organization COPINH. Hit by two bullets, Gustavo survived (barely) by playing dead. 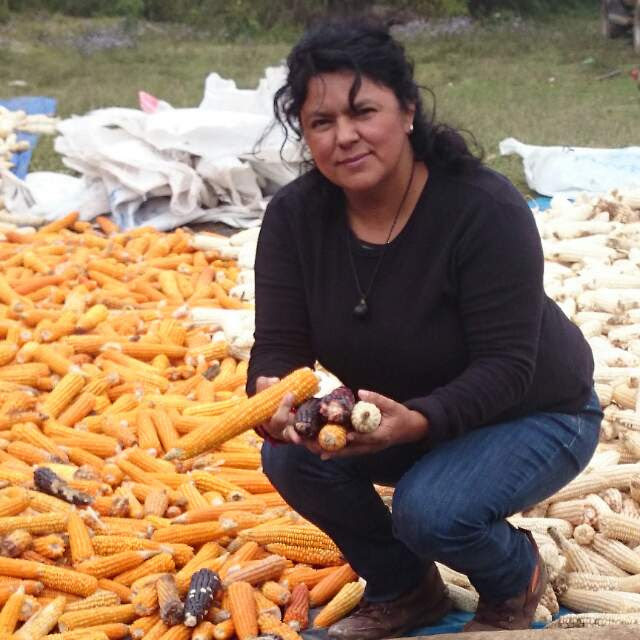 Berta was a mother of four, a grandmother, a sister and daughter, and – to all who knew her, learned from her, got strength, courage and wisdom from her, followed her – a companera. She was killed by all those people, countries and institutions whose greed and interests she lived, stood and fought against. Berta lived against all injustices, all inequalities, all discriminations, all Mother Earth destroying activities. by 500 years of racist, violent, dispossessing European imperialism; by 200 years of U.S. military interventions, exploitation, corruption and impunity; by generations of violent and exploitative, racist and sexist governments of Honduras propped up by the “international community”: the United States, Canada, global corporations, the IMF, World Bank, IDB. by eons of patriarchy, by centuries of racism against the Indigenous and Afro-descendant peoples of Honduras and the Americas; by the greed-conceived and violence-imposed “free trade” agreements of the Americas; by the inherent, endless avarice of corporations and investors from the powerful, rich “democratic” nations (many being members of the harmful G8 club) that exploit, repress and denigrate the “third world”, that make, prop up and mock “banana republics”; by the IMF, World Bank, IDB, etc. – institutions created and dominated by these same rich, powerful “democratic” nations. by mining companies (Goldcorp Inc., Aura Minerals, etc.) ripping apart the earth for gold, poisoning the waters of the Siria Valley and the blood of local residents, evicting communities and the dead from 200 year old cemeteries. by the U.S. and Canadian backed military coup in June 2009, that ousted a democratically elected government and brought back to power the same elites that for so long have dominated and abused Honduras, who – once back in power – took all the above and made it worse again, using repression as a tool of societal control, hiring sicarios to target and kill hundreds of people since the coup, people like Berta. Seven years after the coup, Honduras has the highest per capita murder rate in the world, and amongst the highest rates of repression, femicide, journalist killings, corruption and impunity in the Americas. Berta was killed by all these people and countries, by these economic, military and political interests because – as anyone who knew her will tell you, as anyone who learned from her, got strength, courage and wisdom from her, followed her, will tell you – these are the things she lived against, stood and struggled against, all her life. What Did She Live, Stand and Struggle For? For you and me and everyone. For your rights and mine. For all human rights, collective and individual, of all people, in all countries. For Mother Earth herself – the fields and forests, air and water, and all life forms on this most precious and solitary of planets. Berta lived, stood and struggled for another world is necessary and possible. We are desperately sorry for Berta’s children, her mother, her sisters and brothers, her family and friends in La Esperanza, and Honduras, and across the Americas. Our hearts are again broken by this global human order we live in. As a part of us dies with Berta, a huge part of Berta lives on. What to do? Well, do what Berta would do, as she always did. Live, stand and struggle together. Hold hands. Give one another abrazos (hugs). Reach out to and support the so many victims of this global human order. Live, stand and struggle against all injustices and inequalities, all discriminations, all Mother Earth destroying activities, and for another world is necessary and possible. Thank-you Berta. You are so missed. You are so loved and respected. Lists featuring the names and photographs of dozens of social and environmental activists were given to two elite units, with orders to eliminate each target, according to First Sergeant Rodrigo Cruz, 20. Cruz’s unit commander, a 24-year-old lieutenant, deserted rather than comply with the order. Cruz – who asked to be identified by a pseudonym for fear of reprisal – followed suit, and fled to a neighbouring country. Several other members of the unit have disappeared and are feared dead. “If I went home, they’d kill me. Ten of my former colleagues are missing. I’m 100% certain that Berta Cáceres was killed by the army,” Cruz told the Guardian. Cáceres, an indigenous Lenca leader who won the prestigious Goldman Environmental Prize in 2015 for a campaign against the Agua Zarca hydroelectric dam, was shot dead in her home in March. Before her murder, she had reported 33 death threats linked to the campaign and had warned international human rights delegates that her name was on a hitlist. According to Cruz, Cáceres’s name appeared on a list given to a military police unit in the Inter-institutional Security Force (Fusina), which last summer received training from 300 US marines and FBI agents. Five men have been arrested for her murder, including Maj Mariano Díaz Chávez, an active-duty major in the Honduran army. Díaz had previously participated in joint US-Honduran military operations in Iraq, and is reported by local media to be a graduate of the elite Tesón special operations course which is partly taught by US special forces. Diaz was a military police instructor when arrested, but has since been given a dishonourable discharge. The Guardian interviewed Cruz several times by telephone and video call, and spoke with several people – academics, community leaders and activists – who have interviewed Cruz and confirmed his identity and military background. Cruz enlisted in the army in December 2014, and after three months of basic training, was transferred to the 7th Battalion of the military police, which was created in 2013 to replace a civilian police force mired in allegations of corruption and abuse. He completed two gruelling specialist training camps, including the Tesón course, where he received instruction from foreign military advisers including Americans, Colombians and instructors who spoke a foreign language which Cruz could not identify. Last year, the Tesón course became the subject of intense controversy when footage emerged showing a trainee being forced to eat the head of a dog. During his training, Cruz was hospitalized twice with dehydration, but he completed the course and in October last year, Cruz and 15 other men from his battalion were picked to serve in the Xatruch taskforce – one of two multi-agency forces in Honduras deployed on specialist counter-narcotics and anti-gang operations. The Xatruch force covers the Caribbean coast, which has become an important way station for drug cartels smuggling cocaine from South America to the US. The second taskforce, Fusina, operates nationwide. In mid-December, Cruz’s commander gathered his subordinates after a Tuesday evening football match and showed them several sheets of paper with names, photographs, addresses and phone numbers of each target. One list was assigned to their unit; the second to a similar unit in Fusina. “The lieutenant said he wasn’t willing to go through with the order as the targets were decent people, fighting for their communities. He said the order came from the joint chiefs of staff [and] he was under pressure from the Xatruch commander to comply,” Cruz said. A few days later, the lieutenant left the base and has not been seen since. It was not the first time Cruz had seen the lists. A few weeks earlier in Punta Piedra, a town on the Caribbean coast, similar sheets of paper had fallen out of his commander’s vest in the jeep which Cruz drove. “I only had them in my hand for 20 or 30 seconds but I recognised some faces as leaders from the Bajo Aguán [region]. I didn’t say anything,” Cruz said. The Bajo Aguán region – where the Xatruch taskforce is based – has been the setting for a string of violent land disputes between powerful palm oil magnates and local farmers. More than 100 people, mainly peasant activists, have been killed, many at the hands of state or private security forces. Among the names on the hitlist seen by Cruz was that of Juan Galindo, an activist who had fled the region after receiving threats, but was murdered in November 2014 after returning home from exile to visit his sick mother. Cruz also recognised Johnny Rivas and Vitalino Álvarez, high-profile members of the United Peasant Movement (Muca). Both men were among 123 activists in the Bajo Aguán named by the Inter-American Commission on Human Rights (IACHR) in 2014 as requiring urgent protective measures. Human rights groups have condemned US support for Honduran security forces amid mounting evidence implicating police and military in systematic abuses. In April, activists warned Congress that death squads were targeting opposition activists, much like they did during the “dirty war” in the 1980s. The US has given Honduras an estimated $200m in police and military aid since 2010 as part of its efforts to stem organised crime and undocumented migration, according to defence and state department figures. In addition, Honduras shares the $750m Alliance for Prosperity fund approved by Congress last year for Central America’s violent Northern Triangle. Both aid packages include human rights conditions, but neither has been restricted, even though the state department’s most recent human rights report says that “unlawful and arbitrary killings and other criminal activities by members of the security forces” remain one of the country’s most serious problems. Neither the Honduran defence ministry nor the US state department responded to repeated requests for comment by the Guardian. After Cruz’s lieutenant deserted in mid-December, the other members of his unit were redeployed separately. Cruz worked for about 10 days with the commander of the Xatruch taskforce. During this brief deployment, Cruz said he was woken up in the middle of the night to transport black plastic bags to the River Tocoa, in Bajo Aguán, where colleagues emptied out human remains over the bridge. Shortly afterwards, Cruz and his colleagues were all sent on extended leave. Now increasingly anxious for his own safety, Cruz fled, crossing the border illegally as his identification documents were still with the army. He is now in hiding and his family have reported that military policemen have questioned their neighbours over his whereabouts. Lauren Carasik, director of the International Human Rights Clinic at Western New England University, said the US must stop turning a blind eye to the lawlessness. Violence in Honduras increased dramatically after a military-backed coup in July 2009 forced President Manuel Zelaya from power. Environmental campaigners bore the brunt of the repression after the new rightwing government licensed hundreds of mega-projects, including mines and hydroelectric dams in environmentally sensitive areas. At least 109 activists were murdered between 2010 and 2015, making Honduras one of the world’s most dangerous countries for environmental defenders. A growing number of US politicians have expressed concern over the situation. In August 2015, 21 members of Congress wrote to the secretary of state, John Kerry, raising specific concerns about US support for Fusina, which has repeatedly been accused of human rights violations. 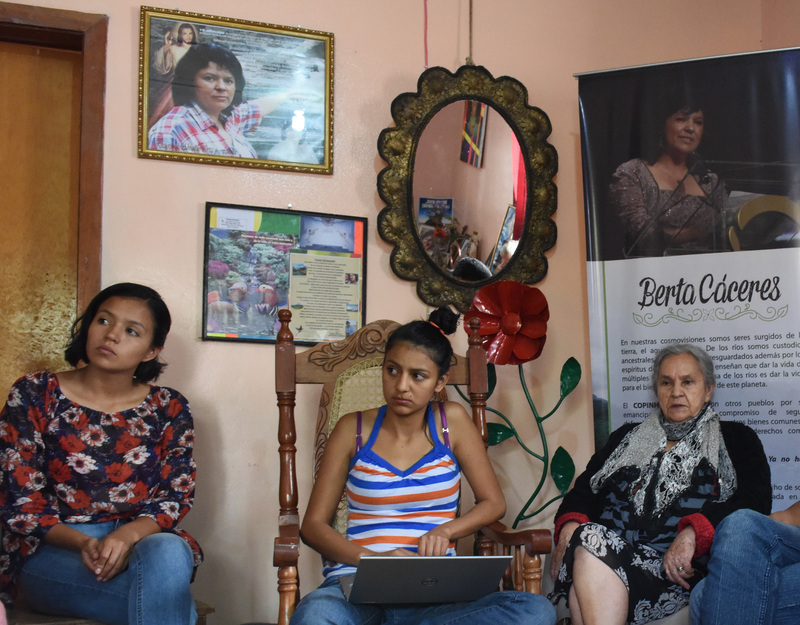 Last week, the Berta Cáceres Human Rights Act in Honduras – which would suspend US security assistance until human rights violations by security forces cease – was introduced to Congress by Representative Hank Johnson. “We provide millions of dollars in security assistance to Honduras but these same forces have been found to attack and kill environmental, labour and human rights activists like Cáceres without any effective response from the authorities,” said Johnson. Cáceres’s daughter, Bertita Zúñiga, said Cruz’s testimony strengthened the family’s calls for an independent international investigation to find the intellectual authors. The deserter explained that Cáceres’s name and picture appeared on a kill list including “dozens of social and environmental activists,” which had been distributed to two elite, U.S.-trained units. Since Honduras’s right-wing regime seized power in a coup in 2009, media and human rights organizations have compiled overwhelming evidence of Honduran military and police violence. The U.S. maintains a very close relationship with Honduran military. Since a military coup deposed leftist President Manuel Zelaya in 2009, the United States has provided nearly $200 million in military aid to the Central American nation. The U.S. also maintains a network of at least seven military bases in Honduras, which house a permanent force of more than 600 special operations troops. In February, the Wall Street Journal published a video showing American forces teaching Honduran forces how to conduct night raids. In 2009, then-Secretary of State Hillary Clinton played a central role in legitimizing the new coup regime. While President Obama initially called Zelaya’s ouster “illegal” and said it would set a “terrible precedent,” Clinton refused to call it a military coup, and aid continued to flow. 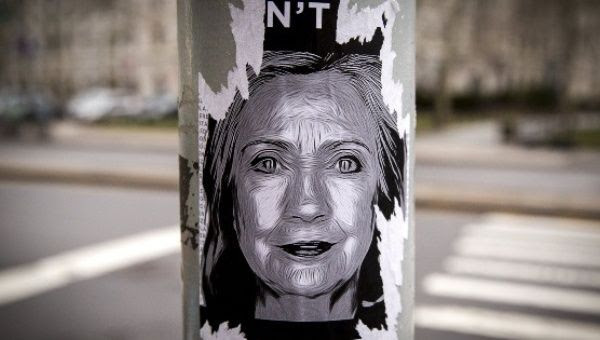 She also pushed for a sham election to “render the question of Zelaya moot,” according to Clinton’s memoir – which was later scrubbed of references to Honduras during her presidential campaign. Officially linking U.S.-backed Honduran forces with human rights violation would trigger legally-required reductions in aid – in addition to putting the State Department in the uncomfortable position of criticizing a client state, and casting doubt on Clinton’s wisdom in backing the coup. After other reporters joined in the questioning, Kirby expressed frustration that he had repeat that there was “no credible evidence” of state murders more than a dozen times. “The reason you’re being asked to repeat it is because it’s kind of hard to believe,” said Associated Press diplomatic correspondent Matt Lee. Kirby also refused to outline the steps the U.S. was taking to follow up on the allegation. He insisted that the State Department took the report “seriously,” but admitted that he was “unaware” of any meetings between the Department and Honduran activists, and that the department had not followed up with The Guardian. CNN’s Elise Labott asked: “Have you been looking for evidence or you’re just waiting for it to fall into your lap, in which case you would launch an investigation?” Kirby insisted it was the former. The murder of Cáceres – a renowned environmental and native rights activist – drew international condemnation and prompted a U.N.-supported investigation. Cáceres won the prestigious Goldman Prize in 2015 for overcoming death threats and organizing opposition to the Agua Zarca dam – stopping the internationally bankrolled hydroelectric project that threatened the land and livelihood of the native Lenca people. Since 2009, Honduras has seen a sharp rise in political violence. By 2012, Honduran security forces had assassinated more than 300 people, including 34 opposition leaders and 13 journalists, according to Honduran human rights organizations. In the lead up to the 2013 elections, 18 candidates from Zelaya’s party were murdered. The A.P. reported in 2013 that in Honduras’s largest two cities, there were more than 200 “formal complaints about death squad style killings” over the previous three years. Reports included the killing of people at military checkpoints, and even police assassination of a top anti-drug government official. In the wake of Cáceres’s murder, Honduran human rights activists have traveled to D.C. to brief lawmakers about the security situation. At a congressional briefing in April, Bertha Oliva, founder of the Committee of Relatives of the Disappeared in Honduras, told lawmakers that “it’s like going back to the past” and that “there are death squads in Honduras.” Oliva compared the situation to the 1980s, when the Reagan administration funded, armed, and trained death squads which disappeared, tortured, and killed hundreds of citizens. At the briefing on Wednesday, the A.P.’s Lee asked Kirby how much responsibility the U.S. would share if it were true that it had trained Honduran government death squads. While the State Department turns a blind eye to the Honduran government’s human rights record, Congress may restrict military aid on its own. Under appropriations laws, Congress can withhold 50 percent of its Honduras aid budgeted for the State Department. Last week, Rep. Hank Johnson, D-Ga., also introduced the Berta Caceres Human Rights in Honduras Act, which would cut off all military and police aid until the government’s human rights record improves. Top Photo: Soldiers and policemen are deployed in Tegucigalpa, Honduras, next to a blockade. In the aftermath of the coup, Honduras’ homicide rate has soared along with other forms of violence. While preparing the essay last year, I discovered that a key passage from the hardcover edition of Clinton’s autobiography had been struck from the paperback version. In the original, the current U.S. presidential hopeful outlines her contributions to Honduran politics in the aftermath of the June 28, 2009, coup against that country’s president at the time, Manuel Zelaya. The problem with the ostensibly democratic pursuit of free and fair elections and Honduran choices is, of course, that it is categorically anti-democratic — not to mention illegal — to forcibly “render moot” a democratically-elected leader. Zelaya’s great offense, for which he had incurred the wrath of the Honduran right wing and its devoted support group in the United States, had been to allow the Central American country to drift slightly to the left — i.e. away from its established position as the “U.S.S. Honduras,” as it was endearingly called during the Cold War. Among his many treasonous acts, Zelaya raised the urban and rural monthly minimum wages to $290 and $213, respectively, and demonstrated an unprecedented willingness to ask communities affected by pernicious foreign corporate mining practices how they felt about the arrangement. Obviously, the coup orchestrators couldn’t come right out and argue that it was a bad thing for poor people to be a bit less poor, or for folks living in mining areas to suffer fewer persistent skin rashes and spontaneous abortions. So they concocted a whole existential scenario in which the diabolical Zelaya — in cahoots with Fidel Castro, Hugo Chávez, and all other malevolent forces of the universe — was working to bring Honduras to Communist ruin by installing himself in power for eternity. Lest anyone thought they were making things up, the coup-mongers offered tangible proof of Zelaya’s nefarious designs: he had dared to suggest a non-binding public opinion survey, scheduled for June 28, 2009, in which Honduran citizens were to be asked to register their opinions regarding the possibility of installing an extra ballot box at upcoming elections. The purpose of this ballot box, in turn, would be to gauge public interest in convening a constituent assembly to tweak the national constitution, which had until then enshrined the oligarchic elite’s stranglehold on the country. As the pro-coup argument went, the singular purpose of the whole charade was to violate Honduran democracy and rewrite the constitution to eliminate the prohibition on presidents serving more than one term. Somehow, the fact that the extra ballot box would be installed at elections in which Zelaya was already ineligible to run was not deemed to be relevant information. Instead of the proposed survey, June 28 thus played host to the expatriation to Costa Rica of a pajama-clad Zelaya, courtesy of the Honduran military. Clearly, public opinion surveys and ballot boxes are not the stuff of democracy — but militarized pajama-kidnappings are. Following the coup, I spent four months in Honduras, primarily in the capital of Tegucigalpa. Day after day, masses of people marched peacefully in the streets demanding a return of the elected leader; Honduran security forces were decidedly less peaceful, and subjected crowds to tear gas, water cannons loaded with pepper spray, and more lethal projectiles. In other words, the U.S.S. Honduras is going strong, despite what amounts to SOS signals emanating from a significant chunk of the population. Rest assured that the current obsessively rightwing regime won’t be rendered moot anytime soon. More than half a millennium later, Honduras has sunk to new depths, thanks in no small part to the post-coup machinations of another imperial emissary — this one by the name of Hillary Clinton. On the coup’s seventh anniversary, as Clinton does her best to expunge her role from the record, one would like nothing more than to see her own ship sink. What Do The U.S. & Canada Have To Do With Repression, Human Rights Violations, Corruption & Impunity In Honduras? In the foreseeable future, there will be no remedy to human rights violations, poverty, repression and impunity in Honduras. The country is characterized by systemic exploitation, poverty and racism; by government sanctioned repression; by government tolerated and induced crime and violence; and by corruption and impunity in all branches of the government, police and military and most aspects of the economy, particularly the dominant national and international business and investment sectors. OFRANEH members continue to be victims of criminalization, threats, attacks and killings, all of which have worsened since the 2009 coup, as they organize and work to defend their territories, collective rights and culture against forced and illegal evictions and human rights violations caused by US, Canadian and other international tourism companies and investors. There will be no end to this situation as long as the “international community” – particularly the US and Canadian governments, the World Bank and IDB, a host of international companies and investors – maintain mutually beneficial military, economic and political relations with the post-coup regimes and dominant economic sectors in power. Forced Migrancy: This situation took a serious turn for the worse after the US and Canadian-backed military coup in 2009, and is directly causing the highest rates of forced migrancy in Honduran history. Over the next weeks, Rights Action – as well as delegation members and their organizations – will publish information related to the community, environmental and life defense struggles that we directly learned about. El pasado 25 de junio, en Santa Rosa de Copán, al oeste de Honduras, se realizó el estreno del largometraje “Mil millas de lucha”, un retrato documental del padre Fausto Milla, de su vida, de su denuncia permanente contra las injusticias, de su compromiso a favor de los más desposeídos. La Rel-UITA fue invitada a participar de este importante evento. “Sin memoria histórica no somos nada, no hay futuro”, dijo el padre Fausto Milla a La Rel, minutos después de concluir la presentación de la obra ante un público atento y participativo.De nacionalidad hondureña, Fausto Milla se ordenó como sacerdote con la idea de estar al lado de su pueblo y de los excluidos. El documental relata su compromiso en cada crisis social y política que ha sacudido a Honduras desde los años 50. Y fue más allá, viviendo y sufriendo en su propia piel la tragedia del pueblo guatemalteco durante el golpe de Estado, orquestado por la CIA, que derrocó al presidente Jacobo Arbenz en 1954, así como las masacres perpetradas por el ejército salvadoreño contra las comunidades campesinas, como la del río Sumpul en 1980. El padre Fausto Milla siempre denunció públicamente estas tragedias, señalando sin miedo a los responsables intelectuales y a los ejecutores materiales. En más de una ocasión tuvo que salir al exilio. Fue acusado de subversivo, de ser guerrillero, de almacenar armas para la guerrilla. Ha sido objeto de actos de hostigamiento, vigilancia constante y amenazas de muerte. En 1981 los escuadrones de la muerte hondureños lo secuestraron y lo mantuvieron cautivo por casi una semana. Tras su regreso del exilio en México, donde amplió sus conocimientos sobre la medicina natural, se dedicó a sanar a la población. Su labor se ha extendido a otras zonas del país, donde atiende consultas y capacita sobre medicina natural y formas saludables de alimentación. “Este trabajo sobre mi vida me ha emocionado. Además, es un documento muy valioso sobre la importancia de la memoria histórica. Un pueblo sin memoria no tiene identidad, no es un pueblo”, sentenció Fausto Milla. “Para nadie es un secreto que hay sectores pudientes, tanto en Honduras como en otros países de Centroamérica, que quieren borrar esa memoria, dejando a los pueblos sin identidad y sin futuro. No podemos permitirlo”, agregó el defensor de derechos humanos. “Sin memoria histórica se cae en la vaciedad de referentes y en la posibilidad de que los proyectos hegemónicos de consumo y de transformación, así como los falsos referentes de una supuesta democracia, se afirmen entre los jóvenes”, dijo Blanca Ochoa, directora del largometraje documental, durante una entrevista realizada el año pasado con La Rel. “Rescatar las imágenes de estas personas maravillosas nos permite reconocernos en ellas, contrarrestando la falsa identidad y la falta de conciencia que quieren imponernos”, agregó la cineasta. 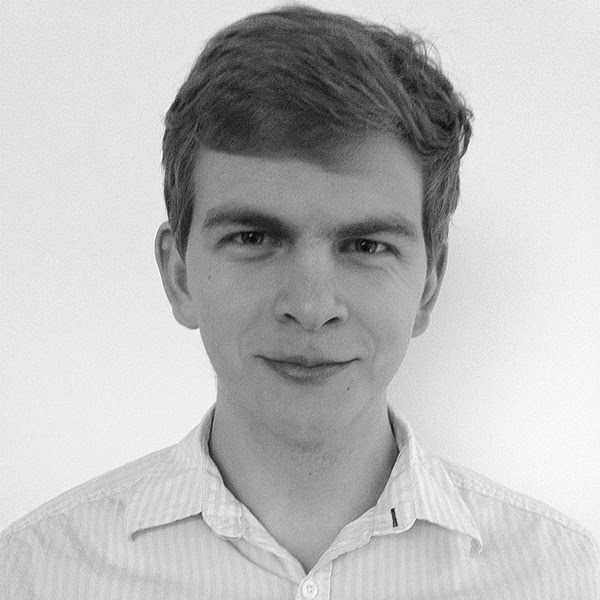 “Este trabajo es un antídoto contra un sistema político y económico que nos enferma. Contra este modelo peleamos con ideas, con la construcción de alternativas, con proyectos de vida”, afirmó Luis Méndez, presidente del Instituto Ecuménico de Servicios a la Comunidad (Inehsco). Producida y realizada por Kat’s-Film, Inehsco y la Escuela de Formación Política RevolucionArte, “Mil millas de lucha” se enmarca dentro del trabajo de rescate de la memoria histórica y política de luchadoras y luchadores del Movimiento social y popular hondureño.